Within weeks of new WPP chief executive Mark Read promising to simplify the business, the brutal cull at Y&R London and its merger with VML has left the ad industry gasping for breath. But was the merger a one-off or the start of a bigger trend? Was it just a coincidence that WPP announced the merger of the perennially problematic Y&R London with the obscure – but apparently successful in the US, at least – VML just weeks before its relatively new chief executive Mark Read appeared before a company strategy meeting in New York? It’s very unlikely, given he has promised to simplify the business, although the news of this strategic move was perhaps subsequently overshadowed by Ford – WPP’s biggest client – concluding its creative review by stripping out its creative business and moving it into BBDO and Wieden & Kennedy. The blow was slightly softened with WPP retaining Ford’s activation business but still helped to contribute to a 1.5% decline in third-quarter revenues. Nonetheless, the disappearance of the 95-year-old Y&R brand, which had been part of the WPP empire since 2000, was a moment to pause and reflect on the pressures the industry in general and ad agencies, in particular, are facing from changing client demand. Over at Greater London House, Y&R London’s UK headquarters, the reaction was rather more dramatic. 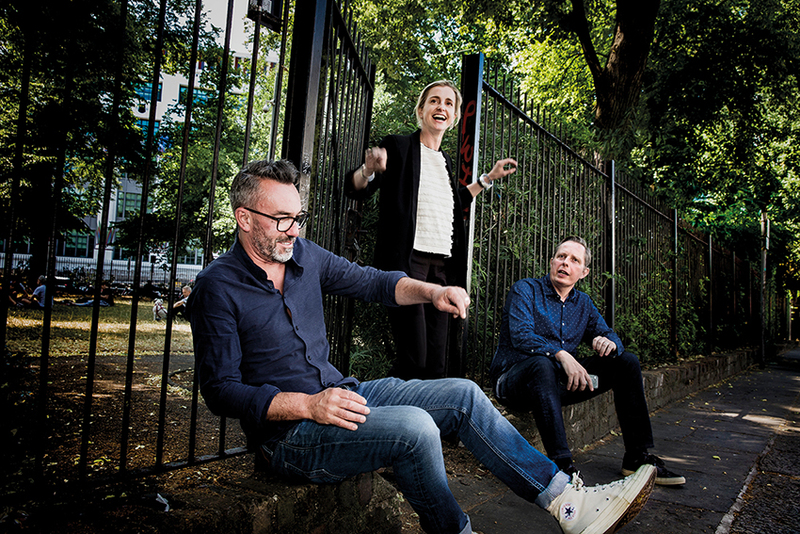 Y&R London’s only recently assembled management team – chief executive Paul Lawson, chief creative officer Jonathan Burley and managing director Katie Lee – were called into a room, one by one, to be told by a global HR factotum that their agency was being subsumed into VML and their jobs disappearing. Shocked at this bolt from the blue, each returned to their desk, collected their possessions and left the building ahead of the edict being delivered to the rest of the agency the following day. The feeling at the agency was one of confusion, insiders said. At roughly the same time, the company email accounts for the departees were disabled. Lawson had been at the agency for less than two years and has limited employment rights; Lee hadn’t even been there long enough to pass her probation; and chief strategy officer Sophie Lewis hadn’t even started – her appointment had only been announced the previous day. It looked like the merger was rushed through on a global level, without much consideration for the impact or cost on each individual market. Lewis was subsequently found a berth as CSO at the new shop. 1 VML created the most re-tweeted tweet of all time with #NuggsForCarter, earning Carter Wilkerson’s tweet about Wendy’s chicken nuggets more than 3.5 million retweets. 2 In 2018, VML won as many Cannes Lions as Adam& Eve/DDB: 21 (three gold, 11 silver and seven bronze). VML was also its Entertainment Agency of the Year. 3 VML is one of the industry’s first two 3% Certified Agencies, alongside 72andSunny. The 3% Movement champions creative female talent and leadership. The two agencies met 3%’s proprietary FORE standards around: female leadership; opportunity for advancement; respectful depictions in work; and equality of work, wage and policies. 4 VML – and executive creative director Harsh Kapadia – received a letter from First Lady Michelle Obama thanking them for helping to "spread the message of Let’s Move! And Drink Up to people around the world in a fresh and creative way" following their Drink Up Ashanti project. 5 The VML Foundation, an employee-funded and employee-led non-profit organisation created in 2005, has surpassed $2m in giving to charitable organisations. The day after the mass defenestration, Y&R staff were assembled and delivered the news by their new management team, led by European chief executive Jon Sharpe. Sharpe had been the predecessor to Lawson at Y&R and so was familiar to many at the agency – he hastily announced "getting to know you drinks" for Y&R to meet their new VML colleagues the following evening. According to those present, the news of the restructure was delivered respectfully and with no undue or unbefitting crowing from the VML team that had been parachuted in as apparent saviours. Sharpe says that the merger of the two agencies were "obvious suspects". He says: "Mark Read has clearly outlined his intentions in terms of simplification, which is ultimately client-led. VML and Y&R… are both complementary businesses and had client overlap." While the news was startling on a personal level, there is strategic sense to the merger on a corporate level. Y&R London has looked a bit sickly for some time and rumours that it was to be merged (when known as Rainey Kelly Campbell Roalfe/Y&R) into a sister creative agency had circulated for some time. Lawson, Burley, Lee (and Lewis) had been assembled by Y&R’s then global president David Patton – presumably at great cost – to try to rectify the problem with their considerable experience and personal chemistry. It’s a shame that they were never given the chance to do this or have a stab at running the merged creation (insiders thought that the merger would inevitably happen at some point). Earlier in his career, Patton also did a remarkable job turning round the fortunes of Grey. However, given that it was less a merger and more of a takeover, the whip hand went to VML’s people. While it may be a bit of a cypher in the UK, on the global stage VML is more of a power and has accrued an impressive haul of Lions. It was Cannes Lions’ Entertainment Agency of the Year in 2018 and 2017. Y&R, on the other hand, has continually struggled – there have been precious little creative or new-business highlights (its latest win was Carpetright) for some time. Of the merger, Read says: "As two independent companies – one in advertising and one in digital – it didn’t make sense. Inevitably, there will be duplication in management, which is something that we had to go through. The situation in the UK isn’t what the individuals would have wanted." So are we likely to see more WPP consolidation as Read delivers on his promise of simplifying the company’s structure and therefore how clients can access it? Read plans to announce the result of a strategic review in December that is likely to see WPP’s "traditional" ad networks facing change. The other parts of the WPP empire are also likely to consolidate further, while branding network Superunion was created in January from the consolidation of five branding agencies: Brand Union; Lambie-Nairn; The Partners, Addison and VBAT. There has also been consolidation in WPP’s media division – with Wavemaker formed from MEC and Maxus – and PR division. Both of these, much like all the parts of the company, had also been allowed to grow like Topsy. Read also plans to sell Kantar. Ogilvy – which, given the number of areas that it operates in, is a mini-holding company in its own right – is going through its own restructure into a single P&L, so is unlikely to be affected. Of Ogilvy, Read comments: "I think that what Ogilvy has is the right mix of skills to give them to clients. Strategically, it’s heading in the right direction." However, talk of Grey and JWT either merging or being partnered up with one of WPP’s higher-growth digital or CRM businesses has also been mooted. One rival network chief thinks that the Y&R/VML tie-up is an example of Read dipping his toe in the water with a relatively low-risk part of the business to see whether it works or not. "Get it out the way and then merge other things and higher-profile brands. Then you have the air cover," says one holding company chief who disputes whether merging JWT with Grey or Ogilvy would be the solution to the problem. "There’s no point merging two things that do the same if there are other capabilities." Moreover, timing is important as any cost incurred from the redundancies (and the likes of Lawson, Burley and Lee don’t come cheap) and rebranding can be accounted to the final financial year of predecessor Sir Martin Sorrell before Read’s full financial responsibility kicks in. For that reason, many think there will be more mergers to follow – and sooner rather than later. "I’m not sure why you need four agency networks, given that they aren’t distinct from each other and they are not doing well," one former WPP agency chief says. Wunderman – of which Read was previously worldwide chief executive – is considered to be the particular jewel in WPP’s rather battered crown. 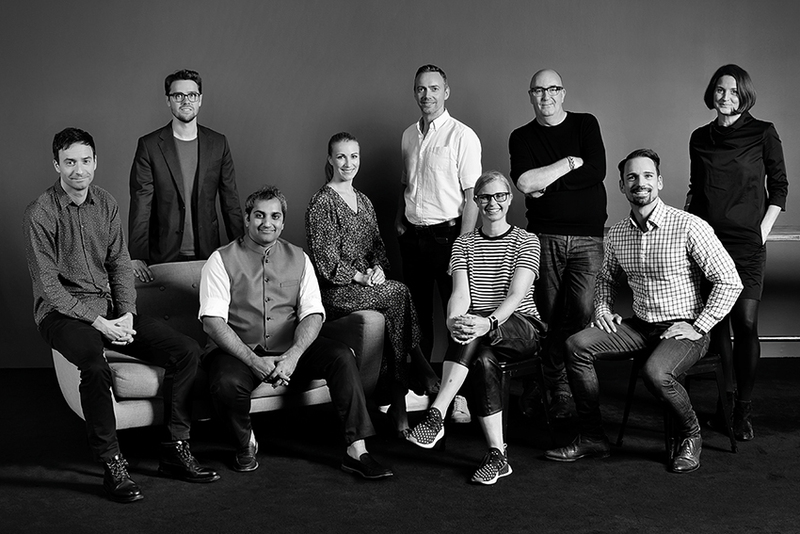 While a merger between it and JWT has been mooted as a possible solution, one insider thinks that it will be a resource that is used by all of WPP’s creative agencies, much like Haygarth is used as an in-house production resource. An alternative scenario is that JWT is sold off, perhaps to one of the management consultancies that are trying to make in-roads into the advertising sector. While Accenture bought Karmarama, the acquisition of a grown-up network on the scale of JWT would be a particularly powerful statement of intent. But a course of direction appears to have been set and other WPP agencies must be wondering what their future holds, and with whom. As Sharpe says: "As an industry, the pattern we see established will continue. This back to the future model is right for clients. I do think we’re going to see more full-service agencies that can work across the whole consumer experience." He describes digital as not just another channel but part of the "fourth industrial revolution". And like all revolutions, this one – as has already been shown – won’t be bloodless. As the dust settles on the merger, we take a look at those left to pick up the pieces. Sharpe is the European chief executive of VMLY&R and a former CEO of RKCR/Y&R (the predecessor of Y&R London). He was appointed CEO at Agency.com in 1999 and went on to found digital agencies Itraffic and Play, before selling Play to M&C Saatchi and being appointed chief digital officer of the M&C Saatchi Group. Since then, he has worked as both chief innovation officer and CEO of Y&R London. 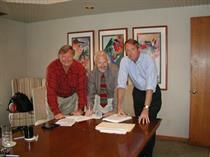 Farmer is responsible for implementing the strategic direction of the agency and leads its client partners. She has experience in digital, integrated and creative agencies, and has worked with clients including Nestlé, Diageo, the International Olympic Committee, Cadbury, Heineken and Asda. Kapadia started as an art director at JWT Mumbai before moving to JWT Melbourne, working for Ford, Kraft and the Government of Australia. He joined VML New York in 2012 – his work for Drink Up earned him a letter of recognition from Michelle Obama and won VML New York its first Cannes Lions. In his role as group creative director, Kapadia oversaw global creative for New Balance, Legoland and United Nations. Roalfe founded Rainey Kelly Campbell Roalfe in 1993 (acquired by Y&R in 2000) and was previously chairman of Y&R London. He is the one remaining member of the management team to make the board of the new company. Roalfe is responsible for key clients including Danone and Colgate. Lewis recently joined VMLY&R, having previously been offered the same position at Y&R London just before it was absorbed into VML. She was previously head of planning at Iris and one of the 2014 winners of the IPA’s Women of Tomorrow. With a career spanning more than 20 years in the industry, Lewis has worked at Bartle Bogle Hegarty, Mother, J Walter Thompson and Abbott Mead Vickers BBDO. Ortner has more than 10 years of consulting experience, working with global clients at Accenture Interactive and Deloitte Digital. He was also the chief marketing officer of start-up Doctify, the UK marketplace for health services, ramping up a two-sided marketplace with more than 40,000 patients and 3,500 doctors within the first year of operation. Taylor leads the agency’s growth strategy and works to elevate the VMLY&R brand. Lipman and Keith claim their role is to ensure that VMLY&R is its clients’ "most important partner on every engagement, no matter the size". Over the past two decades, many luminaries of the advertising industry – inspirational people whose work I love – have stated that "digital is just another channel". It is a fundamental misconception that has made our industry laggards in responding to the chaos engendered by digital disruption. "Digital" is not and never was "just another channel". It is a paradigm shift in our common context. It is a fourth industrial revolution. And we are only at the end of the beginning. While our clients’ industries were being fundamentally disrupted, we largely failed to disrupt our own. Uber, the world’s largest taxi company, owns no vehicles. Facebook, the world’s most popular media owner, creates no content. And Airbnb, the world’s largest accommodation provider, owns no real estate. However, in advertising, it was largely business as usual. Our response to the most disruptive technological revolution since the wheel was led by the 468x60 banner ad. An "innovation" that took our learned behaviour in print media… and dumped it on the internet. Moore’s Law was adopted after Intel co-founder Gordon Moore predicted in a 1965 article that the number of transistors on a microchip would double every two years. But there is a tension between Moore’s Law and Darwin’s Theory of Evolution. Unlike microchips, we don’t double our processing power every two years. We evolve very slowly. And the problem that this creates in an advertising context is that we habitually apply the way we use existing media to our use of any new medium, however reductive that use may be. Our industry is full of brilliant people but, perhaps exacerbated by factors such as pride, fear and vested interest (none of which are particularly useful in rapid innovation), we have arguably been slower to respond to the disruption faced by our clients than our undoubted creativity should have allowed. I firmly believe that it is our creativity that will be our salvation. But only if we avoid limiting our application of it to a finite pool of paid media and two valuable craft skills that haven’t changed since Bill Bernbach quite rightly sat them on the same floor. VMLY&R is for people who will use creativity by any means necessary to transform brands and make them our clients’ most valuable asset. From what a brand is, to what it says, to what it does through the platforms, experiences and interfaces that not only now constitute so much of the customer experience that chief marketing officers find themselves responsible for – but also so many of the new opportunities for the brilliant and creative people of our industry. Historically, New Balance’s brand philosophy has been rooted in a values-based approach to athleticism. The real value of sport comes in its ability to foster individual character. We wanted to create a platform that expressed New Balance’s differentiated philosophy as a symbol of strength in the category. The platform, "Fearlessly Independent Since 1906", would connect the brand to consumers through a message of bold, thoughtful individuality and independence. Legoland is a theme park designed for children aged two to 12 years. With only a small age range for them to enjoy the park to its maximum potential, we created a campaign that resonates with the insight every parent relates to – their kids are growing up, and it is a matter of time before they get pulled towards their teenage lives. Plastic pollution is choking our ocean like a ticking time bomb exploding. Our health is at risk, our marine life is suffering. As the plastic pollution bomb explodes, it causes irreversible damage. 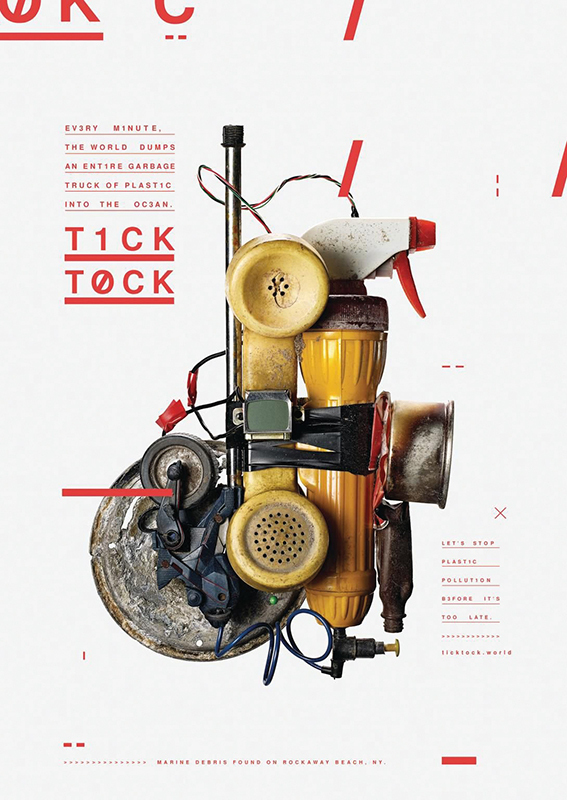 Tick Tock makes us stop, take notice and choose to act. Intentionally provocative, we are asking individuals, companies and governments to end plastic pollution once and for all. Forty-three per cent of Americans don’t drink enough water. So, Partnership for a Healthier America created the Drink Up Fountain to encourage Americans to drink more water. We created Hydro-Touch Technology to transform the act of drinking water into an electrical circuit. So, the more water the users drink, the more they hear pre-recorded audio messages reminding them of the power and goodness of water. A GPS reinvented for children. As they travel to Legoland, kids can follow Lego Mini figures such as Captain Brickbeard on themed routes mapped in real time using GPS. 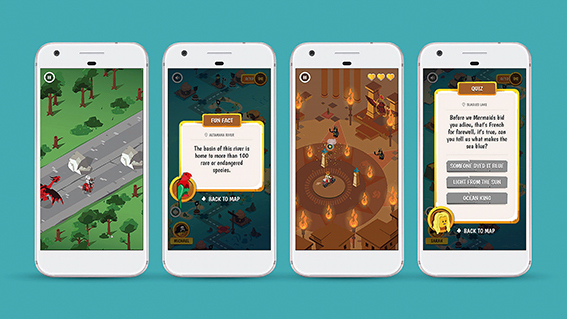 Along the way, they unlock themed missions, answer trivia and learn about the world as landmarks they pass by pop up on-screen before their eyes. The work garnered many awards, including three silver and two bronze Cannes Lions. Every year, millions of civilians are affected by conflict. But this reality is overshadowed by military and political headlines. 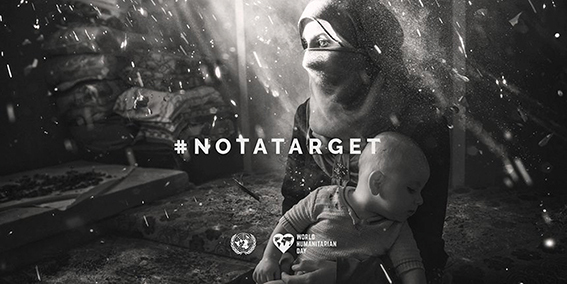 To bring civilians’ stories to the forefront, we launched Not A Target: an integrated campaign that used a world-first live teleprompter filter on Facebook, along with geo-located billboards around the world and a film using real victims of war. It won a D&AD wood Pencil.